By working with Attorney Emma Hemness, she will analyze whether you may be eligible for benefits through the Veterans Benefit Administration. As she discusses your specific circumstances, she will develop and offer you multiple methods to achieve the benefit. You will be able to choose the comprehensive legal plan that works best for you and your family. Not only will Emma develop a plan to achieve A&A eligibility, she will be guiding you to protect your assets for your future needs. Please be aware that there are many individuals, usually non-lawyers, that claim to have special knowledge for assisting veterans and widow(ers) achieve this benefit. Often these representatives are narrowly focused and do not discuss all the options available for achieving immediate eligibility for the A&A pension. They only discuss the one that may result in a monetary benefit, such as a commission, to them. ASK QUESTIONS!! Although the option they suggest may achieve eligibility, it may have disastrous ramifications in the future. For instance, it is not uncommon for certain representatives to solely recommend the use of a single premium immediate annuity to bring the net worth of the veteran or widow(er) below a certain level. However, the annuity is NOT always the best choice. In order to establish the annuity with the insurance company, a sizeable portion of assets may have to be liquidated resulting in early surrender penalties and capital gains. And, with the use of an income annuity, incomes of the veteran or widow(er) increases, making it more difficult to meet the VA income test. Also, if Medicaid benefits are needed in the future when/if the veteran’s or widow(er)’s health declines, Medicaid will be able to count ALL the income in the annuity; and the state will be the beneficiary of the income even after the veteran or widow(er) dies. Asset Protection Planning, whether in the context of VA A&A benefits or Medicaid long term care, it is critically important before moving forward with particular strategies that you have been educated as to all the legal planning options you have and how the course you follow impacts other benefits programs. Only attorneys can discuss the law with you. And, only attorneys can prepare legal documents for you. 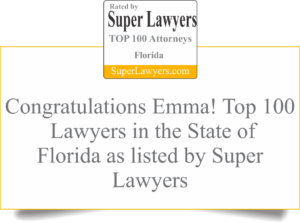 Attorney Emma Hemness can help you. She enjoys educating her clients on their choices before developing a comprehensive plan for them.